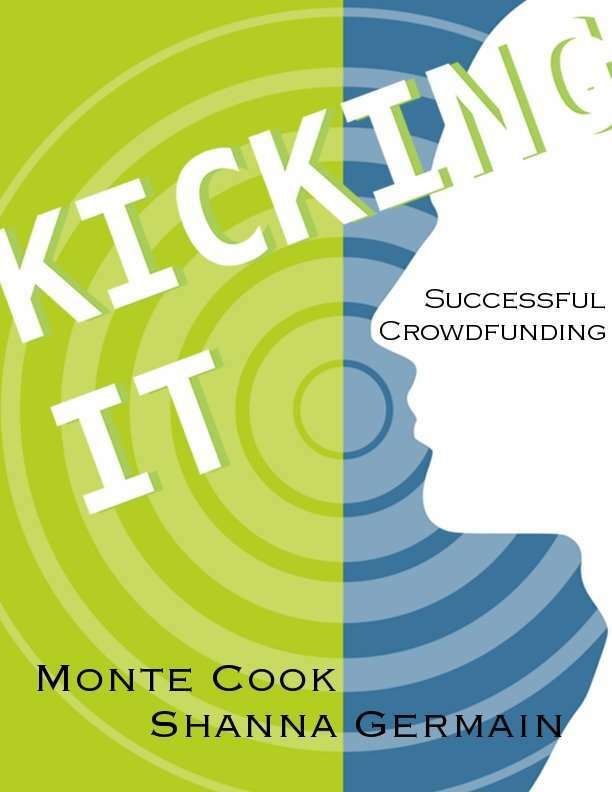 In Kicking It, game designer Monte Cook (D&D 3rd Edition, Numenera) and author/editor Shanna Germain (Geek Love, The Lure of Dangerous Women) each use their experience in running recent, successful Kickstarter campaigns to provide a step-by-step guide for you to plan, create, manage, and fund a money-making crowdfunding venture. You'll find a comparison of the various crowdfunding sites, strategies for promotion, how to set up backer rewards and stretch goals to get the most from your campaign, and a lot more. This title was added to our catalog on October 18, 2012.